One of Drake's most celeb-studded music videos, "In My Feelings" starts with Drake stopping by his one of many girl friends, 'Kiki', in the middle of the night, throwing stones at her first floor residence..to make her come outside. A pissed off 'Kiki' finally emerges from the room, asking Drake, what is he doing there, in the middle of the night. To which Drake responds, "I been texting you all day, you been ignoring me....I love you". 'Kiki' who is clearly aware that Drake is cheating on her, responds like this.."If you love me,then you make them other girls in your phone disappear". Drake tries to prove his innocence by asking 'Kiki', if she wants to snoop his phone for any other girls, offering his passcode. At the very moment, an infuriated mother (Phylicia Rashad) of Kiki walks outside, chides Drake and asks him to leave her premises, at once. After much hesitation, Drake does leave Kiki's house, conveying one last message, to meet-up at the usual place. The actual song begins, well over 2 minutes into the music video, which also features cameo appearances by Will Smith, DJ Khaled, Dua Lipa, Lil Duval, Shay Mitchell, J-Hope, Ryan Seacrest, Noah Schnapp, Russell and Ciara Wilson, The Fab Five from Queer Eye and Power television host/actress, La La Anthony as 'Kiki'. The music video has 169 million views on Youtube to date, with 3.2 million likes. 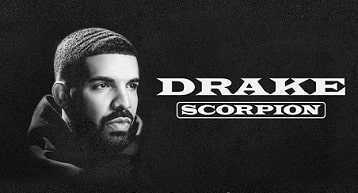 Released from his fifth studio album, Scorpion, "In My Feelings" topped the Billboard Hot 100 charts for ten consecutive weeks in a row, from July 21st 2018 to September 22nd 2018. The song also helped Drake,to become the artist with the most no.1 songs of this decade, surpassing Rihanna.